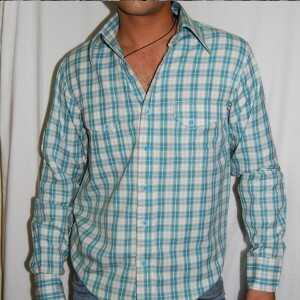 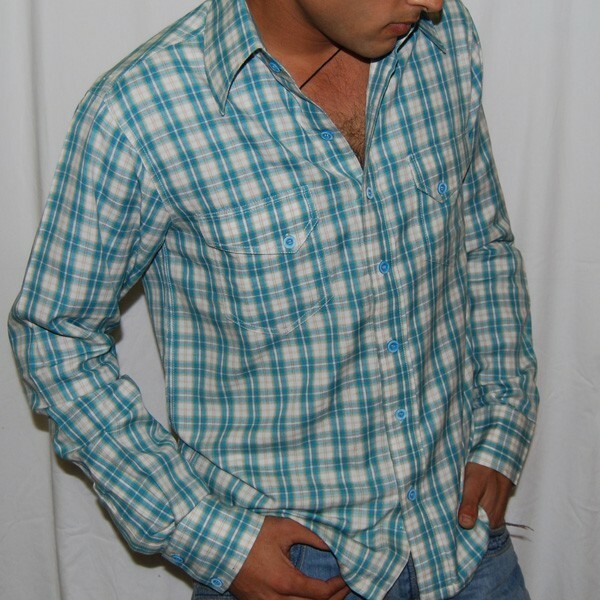 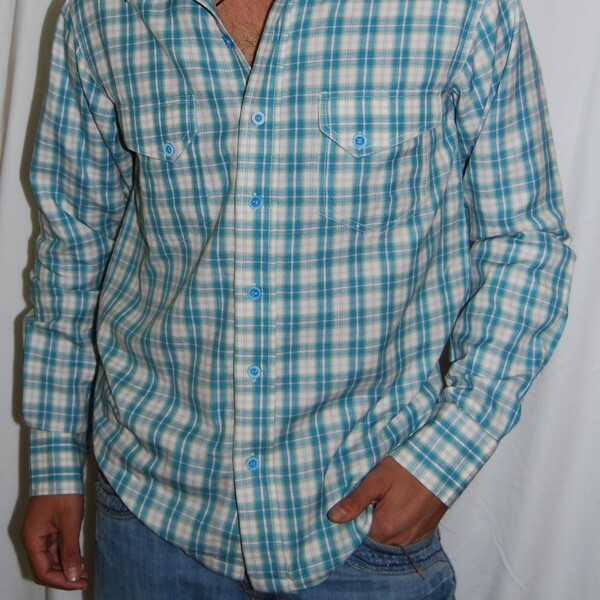 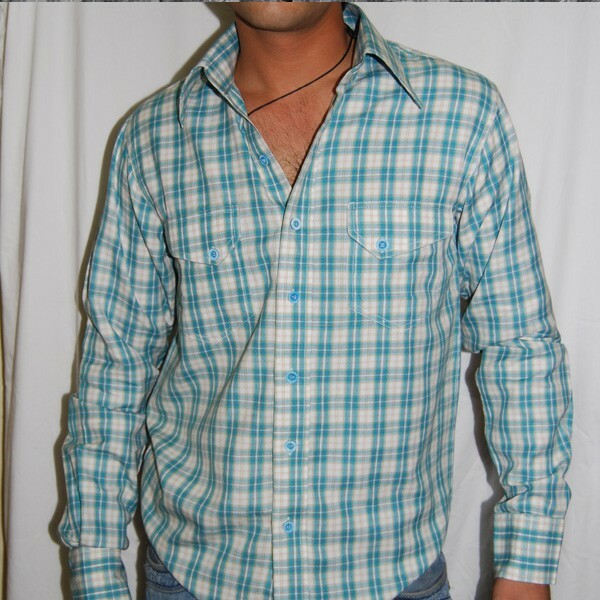 The blue colored horizontal based checks on hazy sky blue 100% pure cotton shirt is perfect classic wear. 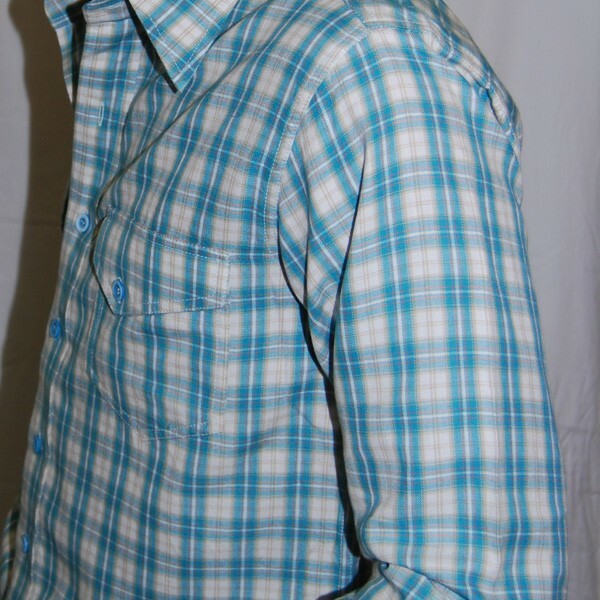 The blue colored horizontal based checks on hazy sky blue 100% pure cotton shirt is perfect classic wear. 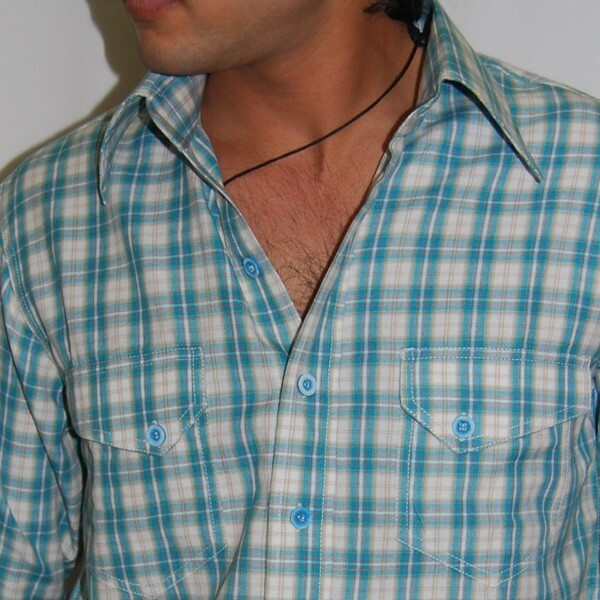 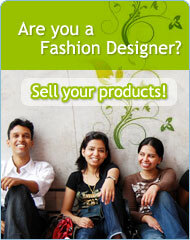 The shirt has two designer flap chest pockets which are very artistically cut and seamlessly stitched with a bended curve.